In his previous article about the Southern Armenia Railway, Mher Almasian discussed the economic importance of an international railway that includes Armenia as a transit point. This week, he concludes his four-part series on Armenia’s infrastructure in discussing a potential Sochi-Yerevan railway that would connect Armenia, Georgia, Abkhazia, and Russia. Of all the infrastructural shortcomings that the Armenian government has had to deal with since its independence, none has been as critical as the lack of rail access to Russia, Armenia’s most important economic and military partner. As a result of the interruption of rail access that rocked Armenia in the ‘90s, the volume of trade between Russia and Armenia has decreased by 95 percent. Armenia lost rail access to Russia because of the 1992-93 Georgian-Abkhaz conflict, which resulted in the line being broken at the Georgia-Abkhazia border, due to Abkhazia establishing its independence from Georgia after a year-long war. The railway line was closed at the border, with several segments of the line being damaged as a result of fighting and other segments deteriorating due to lack of maintenance. For all intents and purposes, the former Transcaucasian Railway line connecting Sochi to Yerevan had been severed, and all the opportunities that came with it, lost. Up until recently, the prospects of reopening the Sochi-Yerevan line seemed unlikely due to the uncompromising stance of the Saakashvili government in Georgia, which demanded the “de-occupation” of Abkhazia as a precondition. But the 2012 election of Bidzina Ivanishvili as the Prime Minister of Georgia, along with the formation of a new Georgian government, has led to a softer and more pragmatic stance on the issue, raising optimism for the reopening of the Sochi-Yerevan line. It’s no secret that the opening of the railway would positively impact Armenia both militarily and economically, resulting in a series of short- and long-term benefits. But there are several primary and secondary parties involved in the decision-making to restore the rail line and each are driven by varying interests. The Russian Federation, with its management of the Armenian and Abkhaz railways and with overwhelming influence on Abkhaz affairs, is considered a primary party to the discussion of reopening the line. Russia has a variety of reasons to support the establishment of the railway. 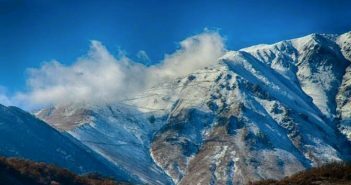 First and foremost, the Sochi-Yerevan line represents Russia’s only reliable access across the Caucasus, whose formidable geography severely limits the possible routes for a railway. 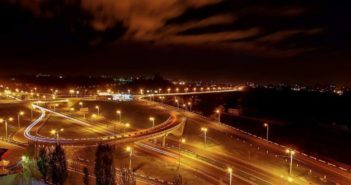 The only alternative route, which travels through Azerbaijan, is significantly longer and unreliable because it passes through the volatile Dagestan region. If the line were reopened, Russia would not only regain access to the region, but the country would also regain influence across the Caucasus, as well as the Islamic Republic of Iran. The railway would also increase the economic unity and influence of the Russian-led Eurasian Economic Union, as well as increase the ability for Russia to strengthen its 102nd military base located in Gyumri, Armenia. The only unfavorable outcome that opening the railway could have for Russia is the potential independence of Abkhazia, which would give Russia less influence over the Abkhaz economy due to the increase in relations with Georgia and, to a lesser extent, Armenia. Georgia, until recently, had been strongly opposed to the reopening of the railway. Under the Saakashvili government, the country had set the precondition of “de-occupation” of Abkhazia before the start of dialogue on opening the line. Naturally, this stance was sharply rejected by the Abkhazian government and the line remained closed. Unfazed, Saakashvili argued that the railway was insignificant to Georgia; the opening of the Kars–Tbilisi–Baku Railway would give Georgia an alternative route to the European markets while also weakening Russia by providing an alternative to the Trans-Siberian Railway. But due to the change of leadership at the hands of the Georgian Dream party led by Bidzina Ivanishvili, Georgia has since adopted a less-extreme position. Upon coming to power, Ivanishvili proposed the potential for talks based purely on economic basis, without any political preconditions. He supported the idea that the return of the railway could act as a foundation for rebuilding trust between Georgia and Abkhazia. Reestablishment of the line would also offer significant revenue from the freight traveling through Georgian territory, increase the European and Russian markets available to Georgian producers and mark Georgia as a regional hub. Conversely, Ivanishvili’s party has been less optimistic about the potential Kars–Tbilisi–Baku Railway, which they believe will reduce freight volume from Georgia’s Black Sea port. Various Georgian Dream ministers have even discussed renegotiating the terms of the railway established under the Saakashvili government. All of these reasons lead to the general public of Georgia supporting the reopening of the line. According to a November 2012 poll commissioned by the U.S. National Democratic Institute, 68 percent of Georgians supported reopening the line. 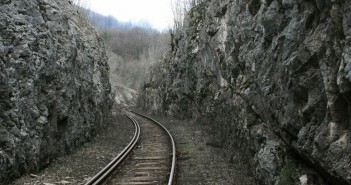 However, despite the open-minded ideas and public support, the Georgian government has yet to provide any concrete plans for making the reestablishment of the railway a reality. First, the government is cautious not to anger a public that has fresh memories of defeat in the 2008 war with Russia over South Ossetia. Second, the reopening is being discouraged by the Azerbaijani government, which aims to maintain the economic isolation of Armenia while promoting the Kars–Tbilisi–Baku Railway. Finally, the country is wary of the potential consequence of further legitimizing the authority of the Abkhazian government. The very demand by Abkhazia to be involved in negotiations has thwarted previous attempts to restart the line. However, despite the lack of concrete plans, the change of tone by the Georgian government and the desire for a more practical approach should be seen as a positive step that could translate to progress in the coming years. The third primary party in the discussions is the government of Abkhazia, which is currently the biggest obstacle in making the reopening a reality. First, the Abkhazian government is highly skeptical of any steps that would lead to reintegration with Georgia. Despite concerns in Abkhazia of the overwhelming Russian influence in all aspects of politics and the economy, any step toward more Georgian influence is considered a far worse trade-off. These views were only reaffirmed in the years of the Saakashvili government, which maintained a militant and bellicose stance toward Georgia’s breakaway regions. Further, since Abkhazia already enjoys well-maintained rail access from Sochi to its capital in Sukhumi, it feels it has no incentive to extend that access to Georgia and Armenia, countries that would only provide competition for Abkhazia’s agricultural products and tourist destinations. Another disincentive is that since Abkhazia does not currently have operational rights to its own railway system, it is greatly limited in it potential financial gains in freight fares. Some Abkhazian government leaders have said that new negotiations with Russian Railways about the terms of revenue collection should be a part of reopening the railway. Finally, since most of the needed repairs for reestablishing the line are limited to the territories of Abkhazia, it might have to bear a majority of the cost to relaunch the line. However, some in Abkhazia argue that the initial economic costs would be worth the increase in diplomatic status that would come with being a part of the negotiations — something that had not been a possibility before. It has been argued that Abkhazia could create a more balanced economic and foreign policy in the unrecognized state, more than currently exists with near-total Russian influence. This could provide greater economic opportunities, including trade with regional nations that would result in long-term economic benefits. Of the nations keeping track of the negotiations among these three primary parties, none has as much to gain from the reestablishment of the railway as Armenia does. With a functioning Sochi-Yerevan line, Armenia’s trade volume with Russia would expand exponentially. With the growth, Armenia would have much more to gain from its accession into the Eurasian Economic Union if it had rail access to other members of the union. Further, Russian military support to its base in Armenia — and to Armenia in general — could be greatly bolstered. Perhaps most significantly, by reopening the line, Armenia could reverse its current isolation by becoming the center of a trade route from Russia to the Persian Gulf, following the establishment of the Southern Armenia Railway. Armenia faces no drawbacks from this scenario, especially considering there would be little direct cost or risk to the nation. It is of little surprise, then, that since its independence, Armenia’s government has prioritized the reopening of the railway line. However, Armenia is understandably limited in its direct influence on the project’s realization and has to rely on its diplomatic power to pressure the primary parties in coming to an agreement. Given the recent change in the Georgian government, however, and the sudden shift by Armenia toward Russia and the Eurasian Economic Union, the reestablishment of the line has once again become a realistic possibility. The more friendly posture by Georgia toward Russia has removed the most significant obstacle in making this a reality. Additionally, Armenia’s deepening ties with Russia have increased its diplomatic leverage while making rail access to Yerevan a bigger priority for Moscow. Moving forward, Armenia can use its leverage with Russia and encourage it to use its overwhelming influence in Abkhazia to persuade the authorities to take a more positive approach toward reestablishing the rail line. A functioning Sochi-Yerevan railway can revitalize the Armenian economy by dramatically increasing the available markets for Armenian goods. It will also increase security by increasing the potential of Russian military support. Such a rail line would be critical given Armenia’s accession to the Eurasian Economic Union. Finally, direct rail access to Russia will be necessary in reaping the full benefits of the transnational North-South Highway and railway, in which the Armenian government has heavily invested. this 4 part series was great. have not seen this type of info about RoA and regional rail infrastructure anywhere else. it is unfortunate that perennial Diaspora mainstream purveyors of doom & gloom about RoA, such as Asbarez, are too wrapped up in their negativity campaigns to find and publicize such positive gems as this. Kudos to Mr. ALMASIAN and TheArmenite. Thank you very much and I most definitely agree. Despite having it’s share of shortcomings, the Republic of Armenia also has many commendable aspects of policy and governing. However they are often disregarded because of the ignorance of the public as well as the efforts of those who have ulterior motives. Really great! Sad to see the series end, but hope there are other series like it. Great job Mher!